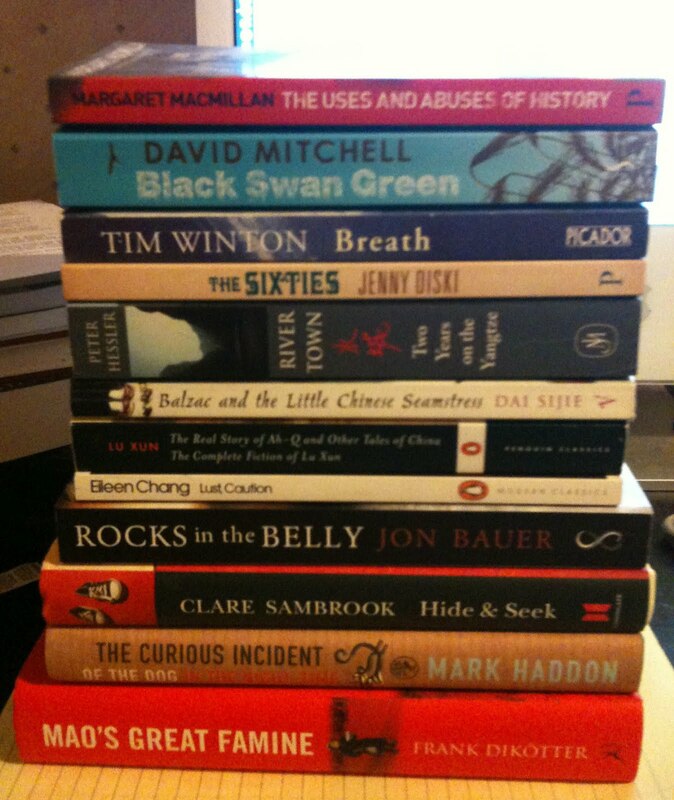 Here are some books I am hankering after reading in March. I was wondering, too, if you could ever get through all these in one month. But Mark Haddon's wonderful book is a quickie, so that should help. The Curious Incident is good, and so is Black Swan Green - not as ambitious as Mitchell's other books, but a very good read all the same. Hi Emma - welcome to the blogosphere! I've read a few of these and think you'll enjoy them - most memorable being the Mitchell (it's his most normal, but he still leaves me a bit wobbly every time!). Interested to hear what you think of Breath - I read a clutch of Winton about ten years ago but haven't revisited him since - perhaps time I ought to. Thanks, Jem. I wish I read a bit faster. As You Like It at Theatr Clywd.